Blackening Song is the debut of Navajo FBI agent Ella Clah, who returns to the reservation to investigate the murder of her father, a minister. 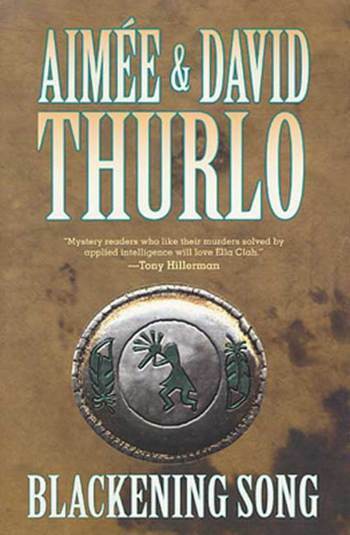 The ritual nature of the killing makes Ella's brother, a medicine man, the prime suspect. Without cooperation from the tribe, the FBI, or the local police, Ella must plumb the depths of the struggle between traditionalist and modernist forces among the Navajo to find her father's murderer.